Hello and Happy Spring! 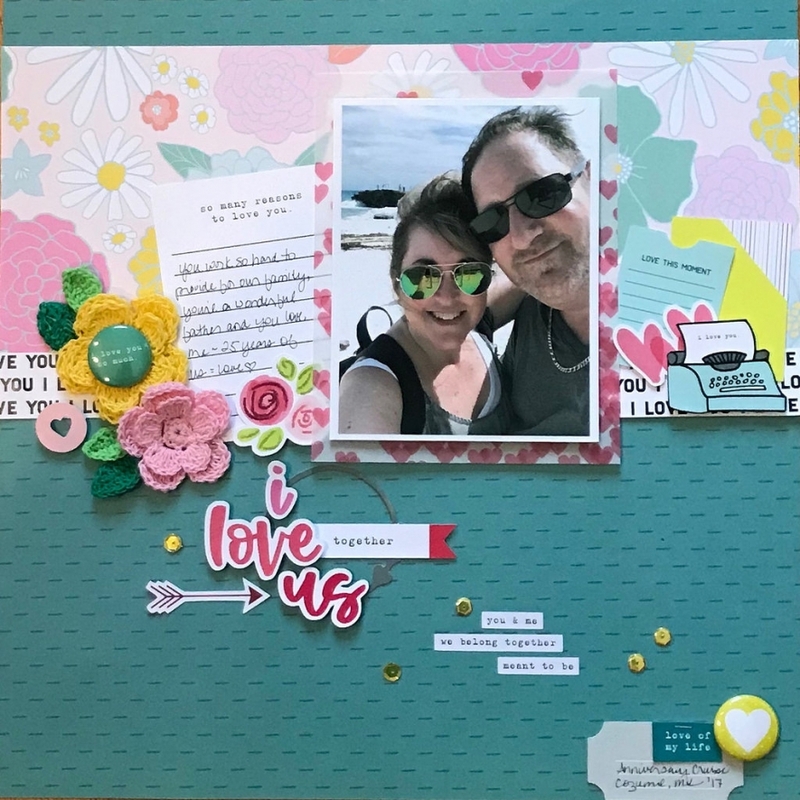 Lisa here today to share a layout I created using the Hello Heather xoxo Collection. I just love the bright fun colors and love motif. I created this layout with a photo from my hubby’s and my 25th anniversary cruise. 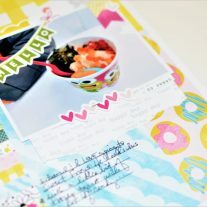 The die cuts are so fun to layer together and really pull the entire layout together. 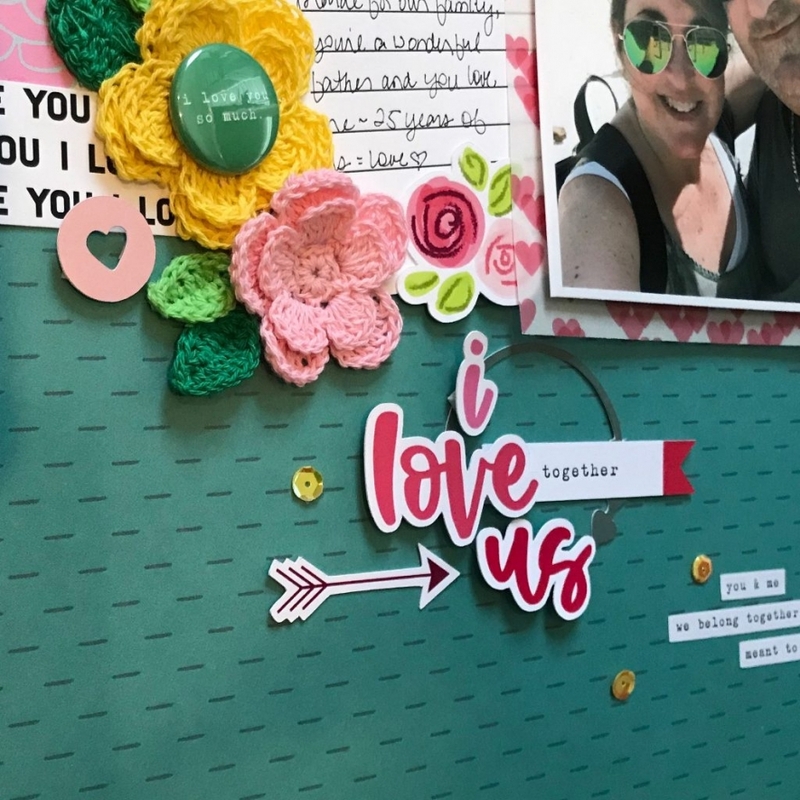 A close up of the embellishments…I love that even though this is a vacation photo, the bright colors and journaling told the story I really wanted to tell. You can see I used pop dots to really help give the layout some dimension. I hope you’ll love using this new collection as much as I do! Thanks for stopping by today. We are a family owned business, located in South Carolina. We design, print, cut, and package everything in our studio. All of our products are made in the USA.